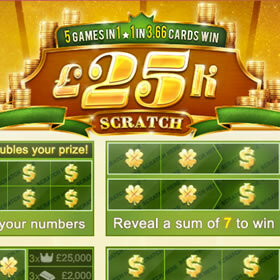 25K Scratchcard game from Paddy Power features five games within a single online scratchcard. The 25K Scratch Card from Paddy Power is fantastically playable! The card is one of the most realistic I’ve played online. Even right down to the animated silver flecks that fall off as you scratch the panels. Firstly, let me say that Paddy Power is a fantastic destination for any scratch card fan. They have a whole range of cards to play. 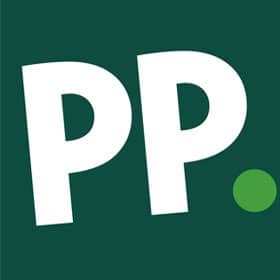 Once you’ve signed up with Paddy Power you can play scratch cards, slots, casino games, bingo and bet on sports. You can do all this from within one website and log in. New players also get a nice welcome bonus (details at the bottom of this review) along with on-going promotions. Secondly, the ‘25k Scratch’ is beautifully animated. This is a multi-panelled card which offers players 5 chances to win. 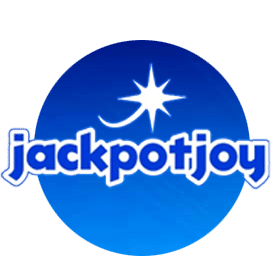 The card costs £2 and the jackpot is worth 25k, this compares favourably with other big win cards online. In fact, many cards on different casinos offer smaller prizes for the same or greater stake levels. The £2 price point is good for the majority of players, you can play other cards for less money on Paddy Power too. You can also play for more. However, newer players would be wise to stick to this level. The gameplay on this card is similar to those offered by the National Lottery. The first panel requires the player to match at least one of two numbers. The second panel is a grid of 9 symbols where the player has to match 3 symbols. The third asks you to add two numbers together. If your numbers total 7 – then you win. 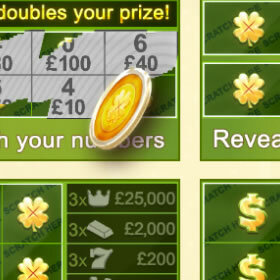 Panel 4 is another grid panel where you must match 3 cash amounts to win that amount. The final panel is a bonus game which can multiple wins, win cash or claim a free card. Paddy Power reports the card has a 91.62% RTP (Return To Player) rate. I played this card a few times and won a total of £6.50. Which did not cover the amount I spent! Of course, this was a random playing session and you could win more or less than I did. Overall, I enjoyed this card and I think most players will appreciate this scratchcard offering from Paddy Power.